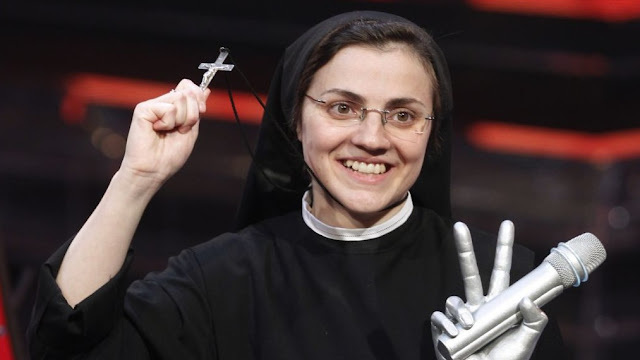 Sister Christina, famous when she won "The Voice" of Italy in 2014, has released her second album. The Italian Ursuline Sister Cristina has the album “Felice” this spring 2018. She worked in a novitiate for two years in Brazil, which led to her calling to both music and religious life. Sister Christina now travels with other sisters, meeting people and performing concerts. For her, even while away from the convent, being with the sisters helps maintain “sense of normalcy” and her prayer life. Sr. Cristina explained that many people have written her, explaining that her music has even helped save some of their lives. She gives credit as owed to God, who organized everything for her to be in this role.